Even though you can perfectly organize and book your trip when you are in Malaysia, it is usually more pleasant if you can sort out a few things in advance. Book your airplane tickets (international and domestic) beforehand to get the best rates (last-minute tickets and complete holiday packages do not exist for Malaysia). The rates you get when booking locally are not even that much cheaper, often even more expensive. 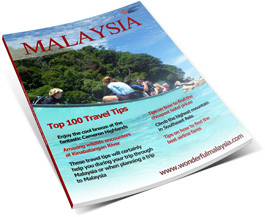 The travel tips on this website are based on years of experience of traveling to and through Malaysia. Every year we receive hundreds of questions from the website visitors. Do you have questions on planning and organizing a trip to Malaysia? Contact us at Wonderful Malaysia. When organizing your own trip, you start by booking your international tickets to Kuala Lumpur. You can make the booking on one of the famous airline ticket websites, but also directly with the airlines which is sometimes cheaper. Singapore Airlines is a good example, they often offer good deals, Malaysia Airlines does not always offer great prices, but they have the advantage of flying straight to Kuala Lumpur (no stopovers). If you want to fly extra cheap from Europe, then you book your tickets with the Malaysian low cost carrier Air Asia. Air Asia X leaves from London or Paris and the airplane tickets are very cheap if you purchase them long in advance. However, the actual flight is quite basic, so do not expect extensive service on board. Other luxurious, but yet reasonable airlines flying from Europe or the States are Cathay Pacific, Asia Airlines, Thai Airways, Qatar, Etihad and Emirates. To see a wide range of interesting hotels in Malaysia available for booking online click here where you can find all you need. We would recommend making online reservations as soon as you know your departure date, as hotel prices may rise once you get nearer to your actual departure. Great places to start your hotel search are Booking.com and Agoda.com. These sites often have great deals. The option to directly book on the hotel’s website or to walk into the hotel at the time of your Malaysia trip is generally (a lot more) expensive, especially when you are staying in 4 or 5 star accommodation. Backpackers can go ahead without making a booking, even at the most popular places in Malaysia. There will always be a guesthouse with a room available. In general, the advice is to book in advance to ensure the best prices. Comparing those prices will pay off! As soon as you have booked your international flights, you can start booking accommodation for the actual holiday. Malaysia is wonderful and especially reasonable when it comes to domestic flights between destinations and therefore it is in most cases the preferred method to travel around. Domestic flights are sometimes not even more than a few dollars of euro per person for a single trip. Again it is important to book as early as possible, because the tickets will then be much cheaper. If you decide to book only a week in advance, then it will cost you a lot more than booking months prior to your flights. The most popular budget airline in Malaysia is Air Asia. Due to the strong competition, other airlines such as Malaysia Airlines, Firefly and even Singapore Airlines are also cheaper within Malaysia. Please note that Air Asia will always have hidden costs. You will pay extra for a lot of things which is not included in the price and it is not always clearly stated on the tickets. If you have organized all the flights and accommodation, then you can start thinking about car rental. It is possible to discover Malaysia by rental car in a safe and reasonably priced manner. It will take just a little bit of effort to get used to driving on the left, but after a few kilometers you will feel as if you have not driven any other way. A standard modern car including radio and air-conditioning is already available from RM100 per day. 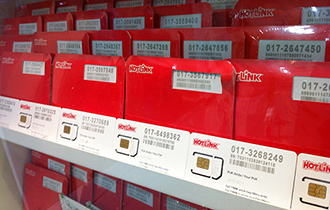 Pay a little bit more and you can also rent a GPS system, which is very practical in Malaysia. The internationally known car rental companies are mostly very expensive compared to the good quality local rentals. Most popular rentals in Malaysia are Hawk Malaysia and Iprac. A very popular website to check and compare car rental prices is Rentalcars.com. You have international tickets, hotel bookings are partially sorted out, domestic flights are also arranged and you have decided on a car rental. 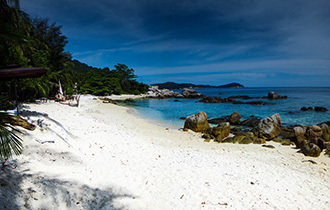 There are some amazing tours that you can book separately in Malaysia. There are various travel agencies where you can do this or you can do it beforehand via the internet. However, many tourists only book a ticket and a couple of hotels. Wonderful Malaysia regularly receives questions from travelers with regards to the many beautiful tours that you can do in Malaysia. They always ask where they can best make reservations in the country once they are there. Even though there are enough travel agencies in Malaysia, many travelers prefer to book some parts of their trip in advance. Viator is one of the biggest and most popular websites in the world where you can make a booking and for that they work together with Lonely Planet Publications. 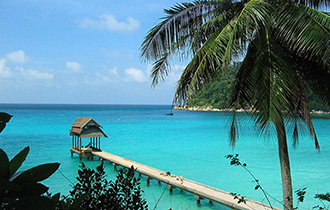 You will find magnificent separate tours in Malaysia for a very good price. Even though it may still be cheaper to organize a tour through Malaysia yourself, you are not always sure if you made a good deal at the local travel agency. In total, Viator offers 86 tours in Malaysia alone. The total offer of tours is divided into four sections: Kuala Lumpur, Langkawi, Penang and Borneo. You can book on the website and directly pay with a credit card. After completing your order, you will receive an email with a link to your voucher(s). You take these vouchers with on the specific tour. You can also visit the attractions with your own transport (bus, taxi or car rental). Below is a short summary of tours that you do not have to book (online) in advance, because you can easily organize them locally or because there are better alternatives. Tours in and around Kuala Lumpur are easy to organize yourself. Tour around Langkawi island is easily organized yourself. Sandakan city tour is also easy to organize yourself. Do you prefer your travel agency to organize your trip? In that case, rather book your whole trip to Malaysia with a travel agent in one of the many travel agencies around. Whatever trip to Malaysia or Borneo you choose; it will always be a marvelous holiday. Travel agencies usually make a distinction between organized packages, tours and customized trips to Malaysia. The last two usually offer the most beautiful parts of the trip, but are often also more expensive than the standard organized packages. If you want security on the one hand, but you would like to arrange a few things yourself on the other hand, then book a take-off package. You will only buy your flight plus hotel (1 or more overnight stays) and you can fill in the rest of the holiday yourself. First and foremost is to always have a map of the place you are in. In this area, Google Maps can be of great use and because of that, you should always have a power bank around with you. As travelers money is something quite essential. Having said that, the next tip is to have the CatchThatBus, Redbus, Easybook app on your smartphone. This would help you to book a bus ticket with ease, at any place and anytime, as long as you have the internet connection. The weather here can be quite unpredictable but generally, it is hot and humid. To be on the safe side, carry along with you a disposable raincoat or a small umbrella just in case, there might be a sudden rainfall. To save more money, try not to spend it on alcoholic drink, as it can quite expensive in Malaysia, despite the promotions available. Malaysia is beautiful country and like other countries we have to follow their rules, I like all your tips but you didn’t mention that either drinking is allowed and which kind of clothing should be there.